One farm boy + one dragon = fate. . HD Wallpaper and background images in the eragon club. 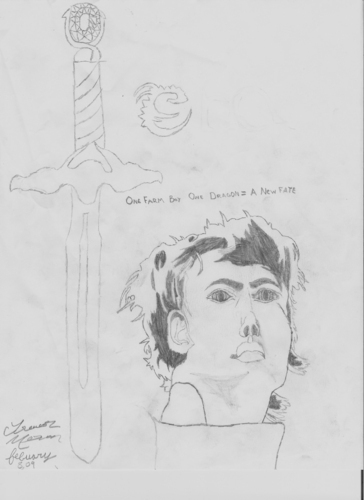 This eragon fan art might contain animado, cómic, manga, historieta, anime, and dibujos animados. ^One bored person + the same bored person = one lonely bored person. BTW: It's a nice drawing.